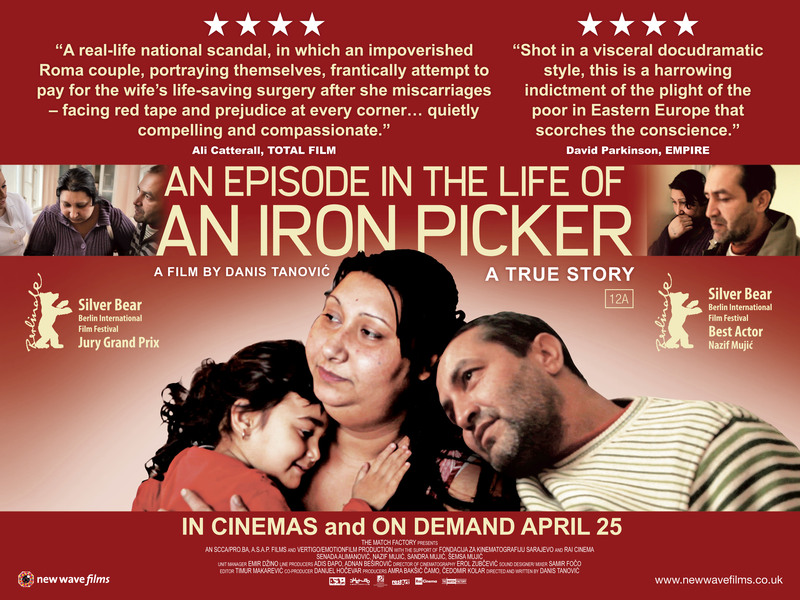 Winner at the Berlin Film Festival 2013 (Silver Bear: Grand Jury Prix and Best Actor Nazif Mujic), An Episode in The Life of an Iron Picker is a gentle and though provoking film based on the real life events of a Romanian family living in rural Bosnia-Herzegovina. Filmed in the middle of a snowy winter over just a few days, the story unfolds as Senada (Senada Alimanovic) starts having complications with her pregnancy, and her husband Nazif (Nazif Mujic) endeavour's to help her. Nazif works as an 'iron picker' - he literally combs the countryside - rubbish dump, streets etc - searching for iron that can then be sold on at the scrap metal market. 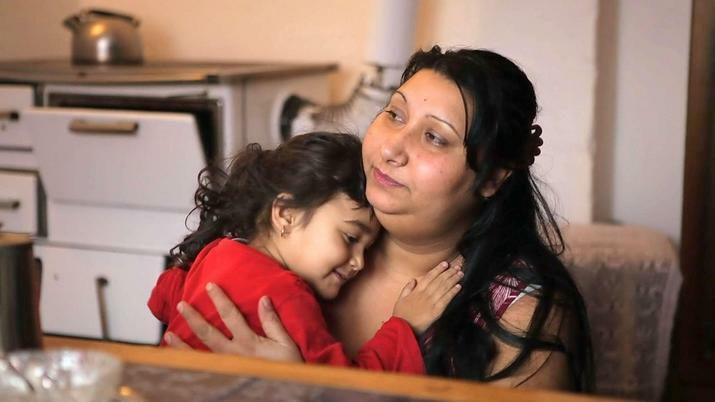 An ex-soldier who fought in the war, once it ended he was left with nothing and as part of the Roma community, he and his family face constant discrimination and are amongst the poorest in Europe. Senada discovers after a visit to the hospital that the baby is at risk unless she has urgent surgery, however without the state provided health insurance card, she must pay approximately 500 euros for the operation, a fortune for Nazif and Senada. Directed by Danis Tanovic (his feature debut 'No Man's Land' won him best script at Cannes in 2001 and an Oscar for best Foreign Language Film), who read about the story of of Senada in a local newspaper and was inspired to reconstruct the events and use the real family for the film. Although at first reluctant to be involved, he managed to convince Nazif and Senada, along with their two young daughters to play themselves in the film. No screenplay was needed and there is very little dialogue. Nazif described the scenes to Danis, and filming was done in the actual Roma village in the Tuzla region. Filming took place over nine days. Danis was a documentary filmmaker during the Bosnian war, and he described the process as 'going back to his root's. So in this way it is a bit like a documentary, but what I like most about it was the way in which daily life is shown for the family. One of my favourite scenes is when Nazif has to get some firewood for the stove - the hard work and effort is shown as he has to go out into the snowy forest, find a tree, cut it down, enlist the help of a neighbour - all to get some wood to heat the house and enable Senada to cook. I really like the honesty of the film and use of non-actors. Screened at the Human Rights Watch Film Festival, earlier in March, Iron Picker will be shown in cinemas from the 25th April.